“9 Free Web SEO Tools You Need for 2019″ written by Mike Marko. Which free web SEO tools should you be using this year? That’s a good question given how many new ones are popping up. It gets so you don’t know anymore if what you’re using is still best. There are too many options! Want a quick tip? Novelty doesn’t guarantee superiority. Some of the best free tools for SEO (search engine optimization) today are also the oldest. Google’s Search Console is indispensable, for example – and has been around for years. So don’t be taken in by tools claiming to be best because they just came out recently. A lot of excellent “old” web SEO tools are also regularly updated. Remember, when it comes to web SEO tools, performance and value matter most. That’s why I’ve focused on it in building this list of tools to jump start your SEO for 2019. First off, there are a lot of great web SEO tools out there. Unfortunately, they’re not all free. That’s why you won’t see tools like Screaming Frog or Ahrefs in this list. They’re amazing, yes, but they also come with a price tag or nonpaying-user restriction. For example, the Screaming Frog SEO Spider will crawl 500 URLs for free. But after that, you have to pay if you want it to audit more webpages. The tools I list here are mostly unrestricted. That means you can work your SEO magic without having to pay for it. As mentioned earlier, Google Search Console (formerly Google Webmaster Tools) is still a must-have in 2019. For one thing, Google still has the biggest share of the online search market. It only makes sense to use its web SEO tools. The Search Console is just one part of Google’s kit, though. There’s also Google Analytics, Google Adwords Keyword Planner, Google Trends, etc. Be sure to use Google PageSpeed Insights to help your mobile SEO, by the way. Since Google now indexes your site’s mobile version first, the tool’s optimization suggestions can be useful. Answer the Public is one of the best web SEO tools for consumer insight. It basically tells you what searches people are running on a particular topic or keyword. For example, let’s say you type “panda” into it. The tool will return with search queries that people run using the word “panda”. Queries are categorized. There are “how” queries (“how panda eat bamboo”), queries with the preposition “near” (“panda near baby”), comparative queries (“panda vs bear”), and so on. Just looking through a few of the categories can yield ideas for content. If you need more ideas on keyword research for content, you can also read my tips on how to get more leads with keywords for Google. The Yoast WordPress Plugin is still among the web SEO tools every WordPress user should have. It helps with keyword optimization, gives you Google previews, does readability checks, and more. It’s also updated every two weeks! A feature that deserves special attention is the automatic generation of XML sitemaps. Anyone who’s ever had to do it manually knows how tedious it can be – so why not let web SEO tools do it for you? Google still dominates the online search market, but Bing has users too. Even if we calculate Bing’s market share at only 4.5% (including Yahoo! search, which it powers), that can make a difference in site traffic. That means Bing Webmaster Tools are among the web SEO tools you should use. They can help you optimize for those of your consumers who prefer to use Bing or Yahoo! for searches. Outreach is still a big part of SEO in 2019. That’s why web SEO tools that discover email addresses should be in your digital marketing toolkit. This is where Hunter.io comes in. It can help by finding email addresses related to URLs. It even tells you which ones are verified. 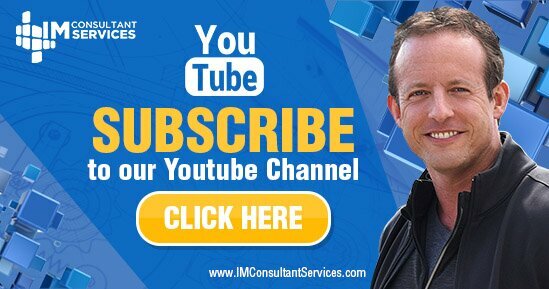 This is a big help when you’re looking to build relationships with other webmasters or marketers. It’s not easy to know if the address you’re emailing is active or even the right one. Take note that the tool has a small restriction for free users, by the way. You can run up to 100 free requests on it per month. It resets the next month, though, so it still counts among my favorite free web SEO tools. GTMetrix is a Google PageSpeed Insights alternative. Like PageSpeed Insights, it helps you assess your page load time. But it can help you solve slow load times even better than PageSpeed Insights. That’s because it goes into more diagnostic depth. For example, you can use it to compare your page load speed against the competition. You can add this backlink analysis tool to Google Chrome as an extension. Use LinkMiner to find broken links quickly. Discovered links also come with added information like social data. Web SEO tools like this are especially useful for people who do a lot of broken link building. Also known as the Moz Toolbar, this is another of the web SEO tools you can add to Chrome as an extension. It gives you critical SEO data like SERP ranking, page and domain authority forecasts, social media metrics, etc. Because it’s accessible right from your browser, it simplifies a lot of SEO research. It also gives you an option to export data to a CSV file. This is among the best free web SEO tools for site auditing. What makes it so great is its user-friendliness. It’s not just easy to use – the results are easy to understand too! Varvy’s SEO Overview Tool gives you data on your technical SEO, link status, image alt text strength, etc. In addition, the tool’s developer has put up links to SEO articles that can be of help to less experienced webmasters. 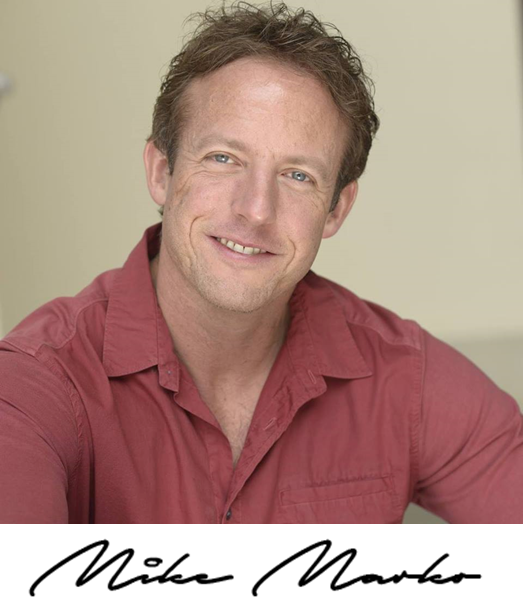 In short, Varvy’s tool is both functional and educational. And on that topic, if you’re an SEO novice still looking to learn more, look at my own SEO tips for beginners. As you can see, the best free web SEO tools for 2019 aren’t necessarily the newest. They’re tools that offer value without making you pay through the nose or work out an interface that looks like a spaceship dashboard. Free web SEO tools like the ones listed above can help you with many aspects of your SEO strategy. They can simplify keyword research, mobile site optimization, and even link building. In short, they can help you take your SEO where it needs to be. 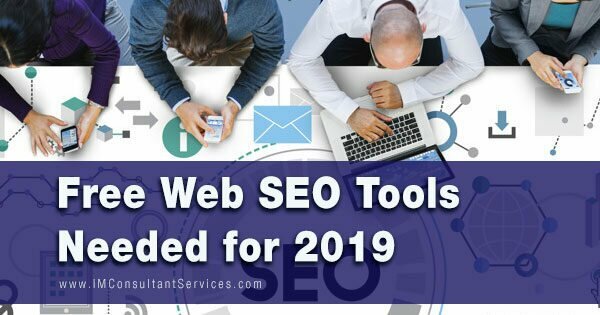 If you liked this list of free web SEO tools for 2019, please share it on social media! You can also suggest other free web SEO tools in the comments below if you think I missed any. 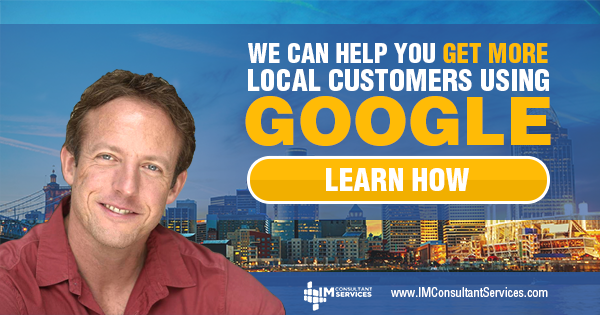 Also be sure to learn how Google My Business can help you with local search marketing.